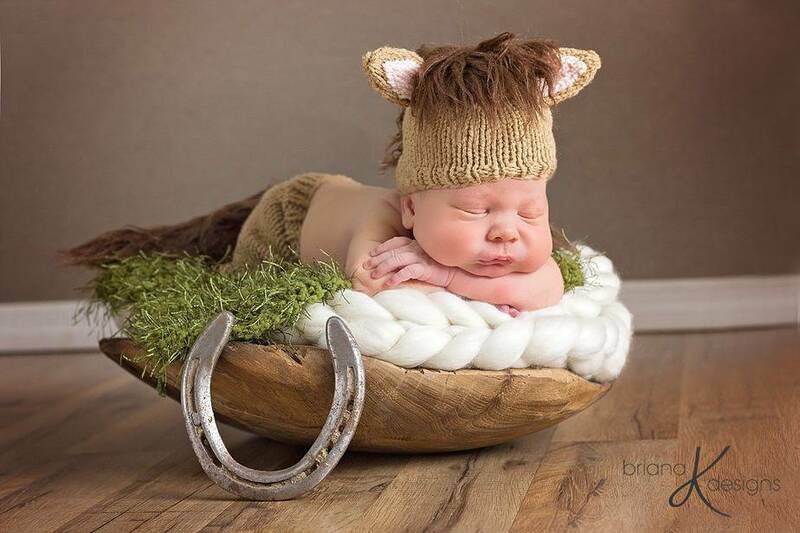 This newborn horse pattern comes with two unique instructions for the mane and tail. The first option is to make the main and tail out of yarn..YES Yarn!!!! I walk you through some steps to create you own fur look. 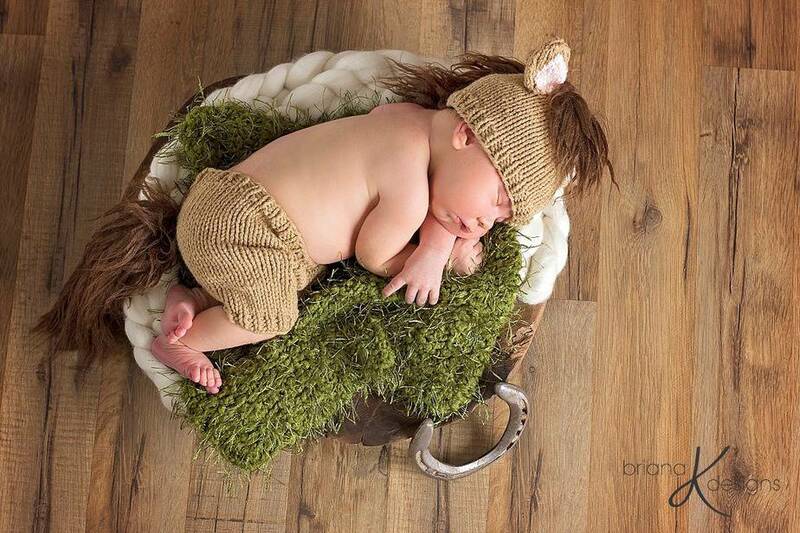 The second option is to use a faux fur fabric and attach it to the hat and pants. I have detailed where to purchase, how to cut, and how to attach. This is a fun project for those who just love horses!